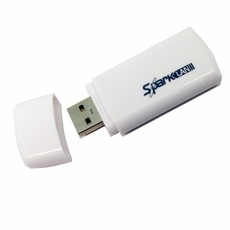 SparkLAN WUBR-508N is an 802.11n Wi-Fi USB Dongle, which is backward compatible with 802.11a/b/g standard. With advanced 2T2R MIMO technology, WUBR-508N delivers ultimate wireless data rate for up to 300Mbps. It allows users to enjoy seamless wireless connection.